Kantar Worldpanel, the global market leader in consumer purchasing and usage insights, revealed today that the Walmart group, when combined with Trust-Mart, is the largest FMCG (Fast Moving Consumer Goods) retailer in China, with a 3.6% sales value share* in the 24 weeks ended Sept 10th, 2010, with the combined fascia reaching 21.3% of Chinese families. CR Vanguard Group and RT Mart follow in second and third position, with 2.9% and 2.7% share respectively. However, the top 5 retailers only account for 13.4% share, highlighting the opportunities for mergers and consolidation in coming years. Most global retailers started market entry from costal provinces and first tier cities, gradually expanding to the emerging lower tier cities and inland provinces. Their market shares, therefore, typically reflect this pattern of expansion. For example, Carrefour holds 5.2% share in municipalities and provincial capitals (the top 25 cities), yet only 1% share in prefecture level cities (B cities) and 0.1% in county level cities (C cities). However, RT-Mart, who overtook Carrefour as the biggest Hypermarket operator in retail sales in 2009, adopted a different expansion strategy. It only records a 2% share in the first tier cities, but leads by a significant margin in prefecture level cities and county level cities, with 4.4% share and 3% share respectively. With domestic consumption playing an increasingly important role in the development of lower tier cities, RT-Mart clearly has a “first to market” advantage to capitalise on the retail boom in the prefecture level cities. Kantar Worldpanel China also reports that the competitive landscape varies substantially by regions. For example, the state-owned conglomerate Bailian group is the leading retailer in the East region, with 6.3% share, while Walmart enjoyed leading position in the North and West. Regional competition, mainly from local retailers, will be significant barriers for Walmart to duplicate its success elsewhere. Modern trade is taking a hold in China thanks to the lure of low prices, convenient one-stop shopping, accessible locations and the integration of other retail facilities in the major cities in China. Hypermarket and supermarket combined, already account for 53.9% share in the municipalities and provincial capitals. Yet it only reports 39.3% share in county level cities and 34.9% share in counties. In counties and county level cities, traditional grocery stores, free markets and direct sales still make up a significant part of the consumer purchases. In 2010, for the first time, Kantar Worldpanel China launches its National FMCG Retailer Flash to provide measurement of key retailer performance by region and city tiers. 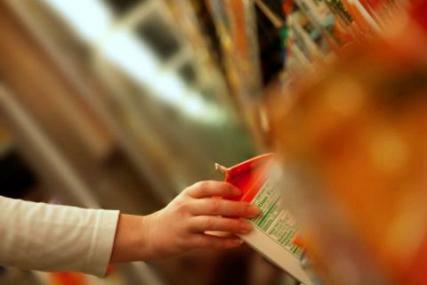 Kantar Worldpanel China measures the daily grocery purchasing of 40,000 demographically representative Chinese urban households through cutting-edge barcode scanning methodology. 1. Kantar Wordpanel China continuously measures household purchases over 100 product categories including cosmetics, food and beverages and the toiletry/household sector. Its national urban panel covers 20 provinces and four municipality cities (Beijing, Tianjin, Shanghai and Chongqing). 3. Penetration: Percentage of population(households) shopped in a given time period.